Trying out the Biolage 3Butter Control experience on my torched summer locks. Plus, win a full set of the product to try yourself! 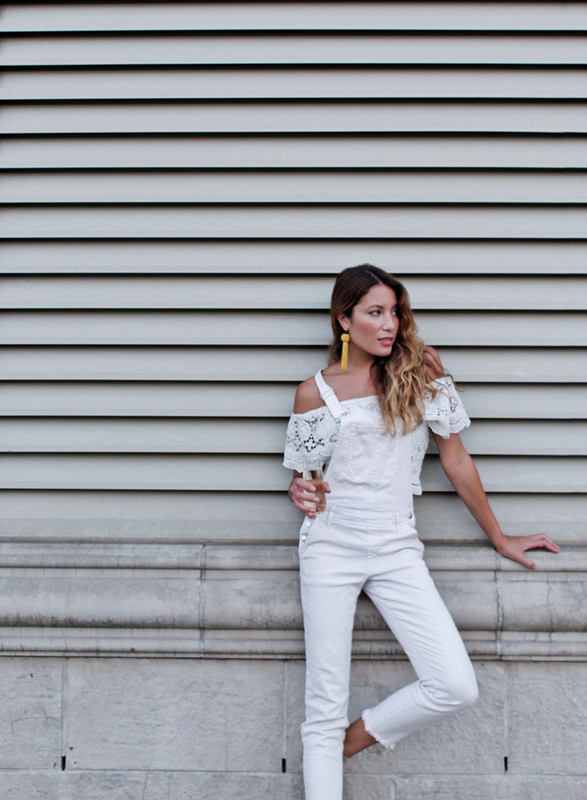 Forever 21 overalls (similar here), Lush lace off-the-shoulder top (also seen here), Vanessa Mooney earrings via Shopbop, Jean-Michel Cazabat wedges. If there’s anything that gets used and abused over the summer (besides my liver), it’s my hair. My curls are literally fried by the end of a few months’ worth of harsh sunshine, travel, chlorine, & just general lack of care. So when Biolage approached me to do a sponsored post trying out their new 3Butter Control experience, I pretty much had nothing to lose. When it came to my hair care, I’d admittedly already hit rock bottom. My Biolage 3Butter experience started with an evening at Elements Hair Studio in Brooklyn with my girls Erica & Sunita (pictured above) and plenty of rosé. 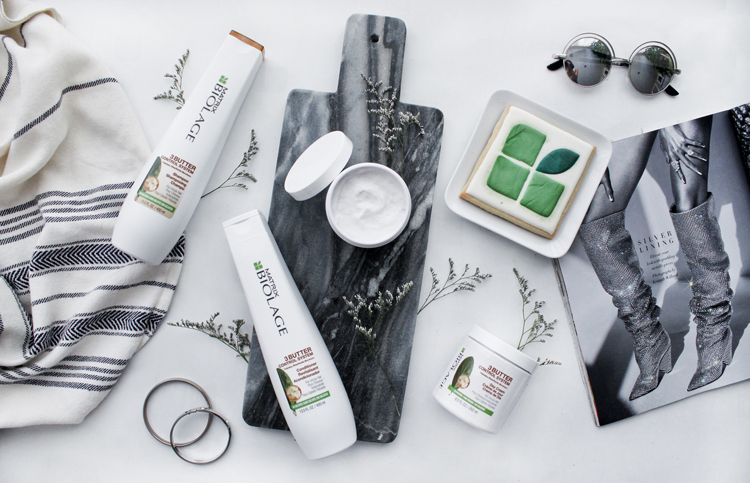 There, I sat down with a Matrix Biolage stylist to learn all about the many ways I was destroying my mane … and how the new Biolage 3Butter Control System could help. Per the name, the products are enriched with three types of butter (cupuacu, shea, & murumuru), which means they deliver super-saturating moisture for your hair. 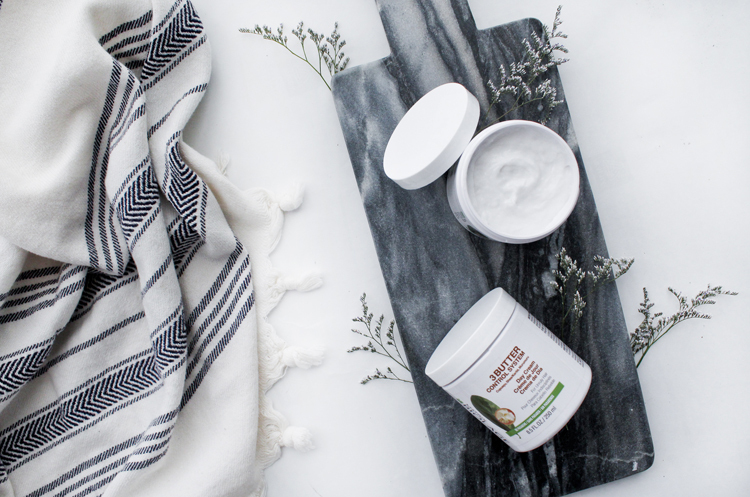 The stylist recommended I use a dash of the Day Cream on my frazzled ends, follow up with the leave-in Night Cream once a week, then add the Shampoo and Conditioner to my regimen for all-around treatment. After seeing how tame and sleek my ends became after just a quick swipe of the Day Cream, I was 100% sold. I'm also excited to share that I will be giving away a full set of the product to one lucky winner! 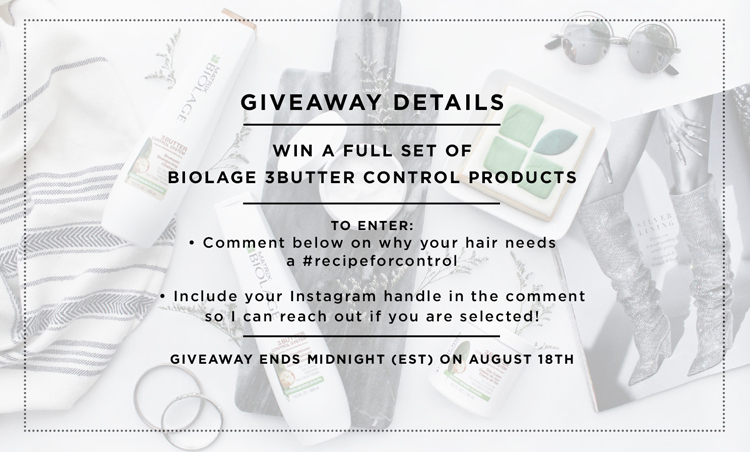 All you need to do is comment below on why you need a #recipeforcontrol for your chance to win. Include your Instagram handle in the comment so I can reach out if you are selected! I'll be randomly selecting one lucky winner on August 18th. Good Luck!